Reports claim that the man had previously been to the property and was told never to return. Rihanna has become the latest victim of criminal trespassing after a fan made his way to her New York City apartment. According to E! News, 33-year-old Salmir Feratovic was arrested after visiting the building where the 'Work' star has a penthouse. An NYPD spokesperson confirmed that Feratovic had visited the residence before and was told then he was not allowed to return. 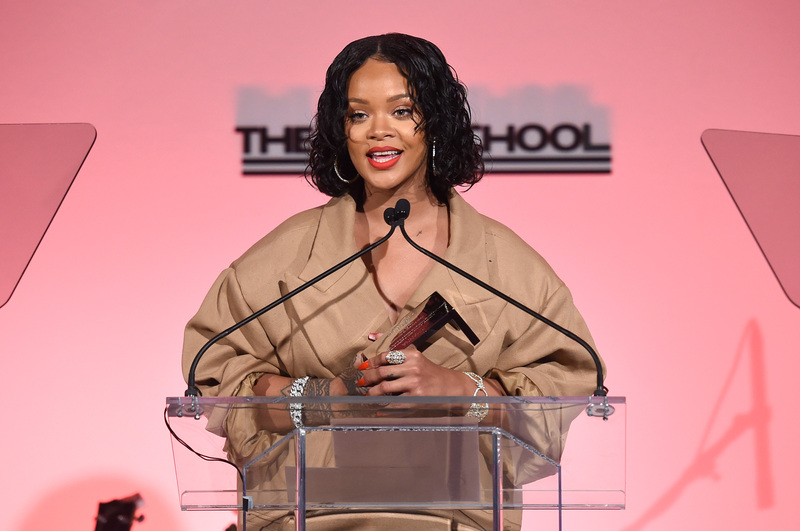 White authorities made no mention of Rihanna's name, the article notes that a man by the same name commented on a March 2017 Facebook post about Rihanna. The message read: "Why she is not with me?" The report also states that Feratovic has multiple prior arrests, including one from May 2016 which saw him arrested for criminal trespassing at the same location. Adding fuel to the suspicion, a tweet relating to RiRi from a man with the same name can be traced back to February last year. The account responded to a tweet from Puma, asking Rihanna to call him back before leaving a number. Tweets about Rihanna, Beyonce and Nicki Minaj can also be found on the account. Rihanna fenty ,Nicky minay ,beyonse are my womens,I want my kids on TV vith you! I have kids with Rihanna fenty,Nicky minay and beyonse !I love you my kids you are team ! Both Feratovic and Rihanna are yet to comment on the incident. This isn't the first time the R&B singer has been the target of suspected stalkers. In 2013, the singer obtained a temporary restraining order against a man who broke into her neighbor's house in Los Angeles, thinking it was Rihanna's. That same year, a man was arrested after breaking into her actual home. Following Rihanna's move to New York, another man was arrested in 2014 for allegedly stalking and harassing the star.